Makes it easy to start the engine. Maintains clean the spark plugs and the area of the combustion chamber, cools and lubricates them, allowing longer engine life and smoother operation. 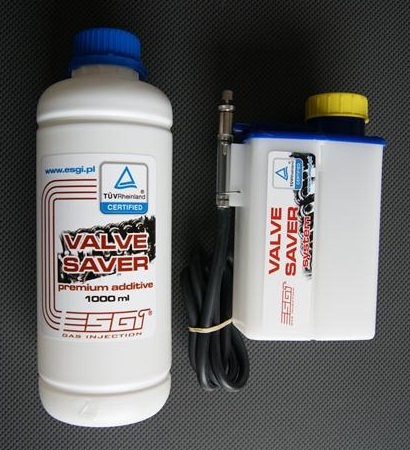 Directly through a set of ESGI Valve Saver Kit Directly to the fuel tank before refueling the vehicle for good mixing, at a ratio of 50 ml per 50 liters of liquid fuel. Can safely be used in vehicles equipped with catalytic converters and oxygen sensors. Also suitable for use in two and four-stroke engines in motorcycles, lawn mowers, LPG, etc..